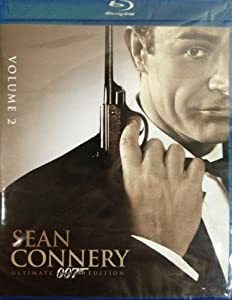 Here are the multi-movie products that feature Sean Connery as James Bond. 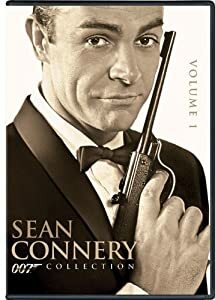 This collection has the first three James Bond films, Dr. No, From Russia With Love, and Goldfinger; one movie per disc. 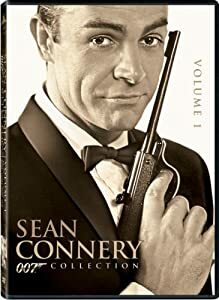 This collection has the first three James Bond films, Dr. No, From Russia With Love, and Goldfinger; one movie per disc. The other three discs have the special features for each movie. This collection has the first three James Bond films, Dr. No, From Russia With Love, and Goldfinger; all on one Blu-Ray disc. 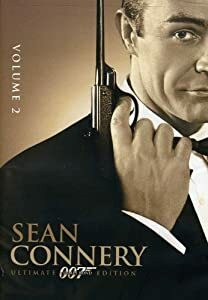 This collection has the fourth, fifth, and seventh James Bond films, Thunderball, You Only Live Twice, and Diamonds Are Forever; one movie per disc. The sixth James Bond movie was "On Her Majesty's Secret Service" with George Lazenby playing James Bond. 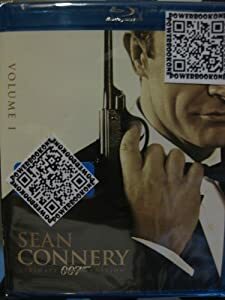 This collection has the fourth, fifth, and seventh James Bond films, Thunderball, You Only Live Twice, and Diamonds Are Forever; one movie per disc. The other three discs have all the special features for each movie. 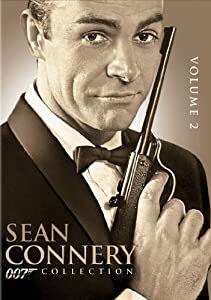 This collection has the fourth, fifth, and seventh James Bond films, Thunderball, You Only Live Twice, and Diamonds Are Forever; all on one Blu-Ray disc.